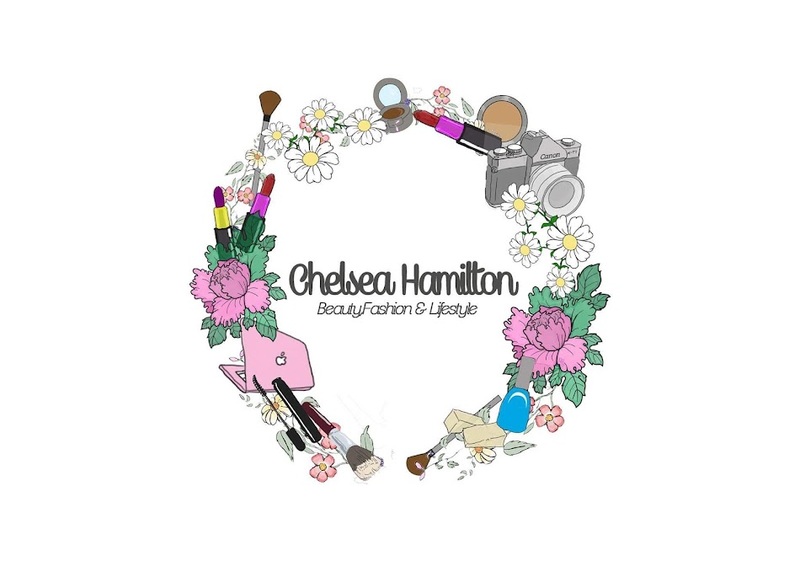 Chelsea Hamilton: Spring/Summer 'MUST DO' Hair Styles 2014. Spring/Summer 'MUST DO' Hair Styles 2014. 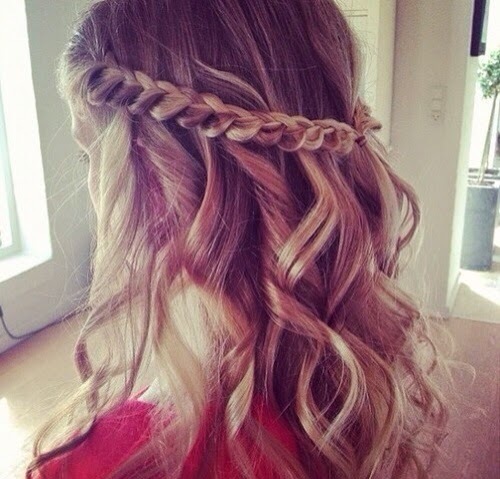 Hair Must's For spring/Summer 2014.
when people think of plaits they think 'little girls' but if you do them right it can look very chic or boho. 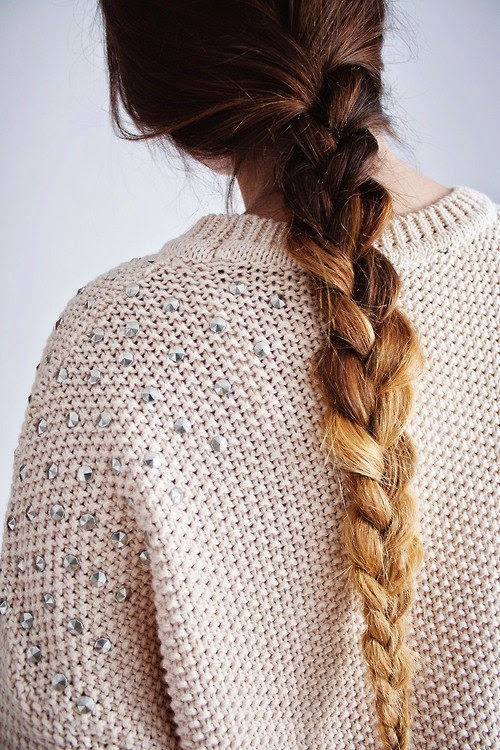 I love this plait because of the ombre hair colour. I think it looks best messed up a little, run your hand up the plait and pull out the sides. Simple side plait, You can do this plait by taking a section from the front & plaiting it or you can braid it across the front & carry it on round, if your able to you can make it a waterfall braid. make it loose and messy to get a boho lived in look. Some people call this a milk maid braid some call it a halo braid, call it what ever you want. This is a very easy style but it looks very complicated. Make two pig tail plaits either side, make it looser at the top, lift the plait up & over your head and pin in place, pull the sides out to make the plait fatter ... & its as simple as that !! 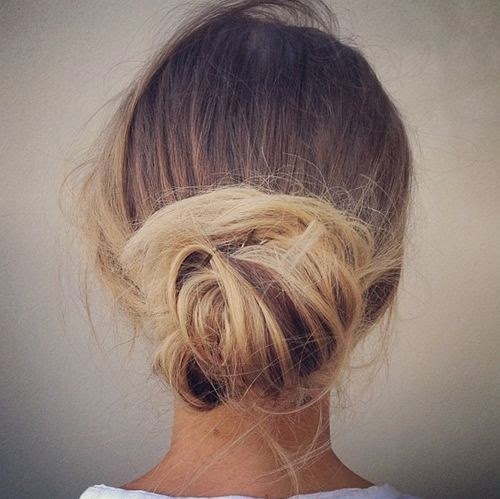 The whole point in a messy bun is its got to be messy, I need to remember this, I'm too much of a perfectionist. 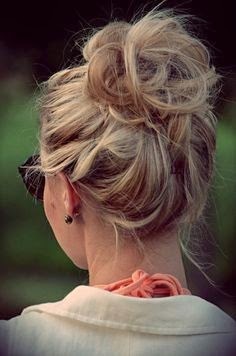 High Bun, Place hair in a high messy pony tail, back comb the hair to get some body and wrap the hair round, grip into place ... simples! its the perfect look for lazy days. Low Bun, Slick hair back into a low pony tail, back comb the hair to create body, twist the hair round the bobble securing in place, keep it as loose as possible but still secure. This look is perfect for a day out shopping or lunch with friends, it looks sophisticated whilst effortless. 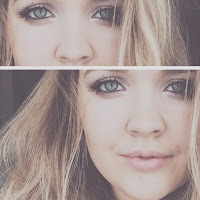 This a very VERY easy style to achieve. 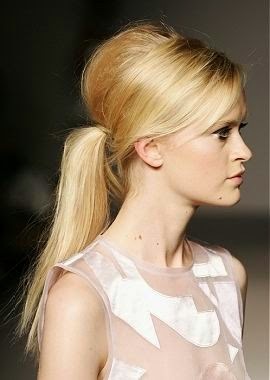 Low Pony, This style looks good with hight on top, its very 60's looking. Keep the hight more at the crown, take the pony low in the nape. High Pony, I love this look when iv had my hair curly the day before and I don't want it down again, the pony needs to be just above the crown, make the pony tail big and bouncy, its a effortless look, it also keep all your hair out the way for when the weather gets hot.